Warner Premiere, DC Entertainment, Warner Bros. Animation and Warner Home Video have expanded the realm of superhero storytelling beyond the popular DC Universe Animated Original PG-13 Movies with the introduction of the DC Showcase, a series of animated shorts featuring characters from the celebrated DC Comics vault. 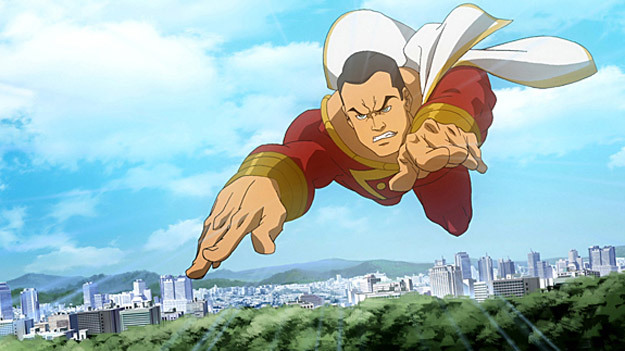 On November 9, 2010, Warner Home Video will distribute the DC Showcase Original Shorts Collection, the first quartet of animated adventures featuring the never-before-seen Superman/Shazam! The Return of Black Adam, as a Special Edition Blu-Ray™ for $29.99 (SRP) and single disc DVD for $19.98 (SRP). In Superman/Shazam! The Return of Black Adam, Clark Kent’s latest interview subject is street kid Billy Batson. What Clark doesn’t know is that Billy is more than a feisty kid with a lot of heart – he has been chosen by an ancient wizard to represent the good of man as the World’s Mightiest Mortal just by invoking the name of the wizard, "Shazam!" Billy’s powers come none-too-soon, as he also discovers he’s being pursued by a centuries’ old, murderous villain, Black Adam – a foe so powerful, even Superman can’t stop him alone. The all-star cast of Superman/Shazam! 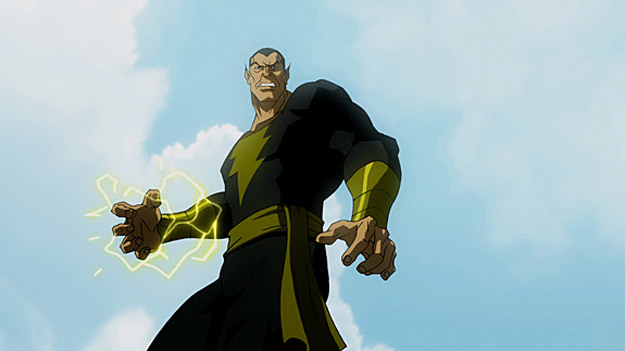 The Return of Black Adam is led by Jerry O’Connell (Crossing Jordan) as Captain Marvel, George Newbern reprising his Justice League role as Superman, Arnold Vosloo (The Mummy) as Black Adam and two-time Emmy Award® winner James Garner (8 Simple Rules) as The Wizard. Bruce Timm (Superman Doomsday) is executive producer and Joaquim Dos Santos (Justice League, Avatar: The Last Airbender) is director of the first series of DC Showcase titles. Michael Jelenic (Wonder Woman) wrote the 22-minute script. Jonah Hex – The tough-as-nails bounty hunter always gets his man – until someone else gets to him first – in this case a murderous madam who wants to steal more than just his bounty from Jonah Hex. Based on a story from the award-winning Jonah Hex comic series, and scripted by world-renowned author Joe Lansdale. The voice cast is led by Thomas Jane (Hung), Linda Hamilton (The Terminator), Michelle Trachtenberg (Mercy, Buffy the Vampire Slayer) and Michael Rooker (Days of Thunder). “The DC Showcase once again combines the respective creative talents of DC Comics, Warner Premiere, Warner Bros. Animation and Warner Home Video to provide fans with vivid, new experiences alongside characters from within the vast resources of DC Comics,” said Matt Bierman, Senior Vice President Production, Warner Premiere.